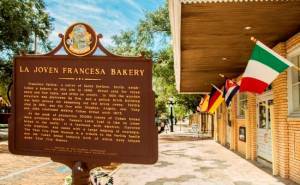 The large yellow brick building across from Centennial Park in Ybor City is home to the Ybor City State Museum, where visitors are invited to explore over 100 years of Ybor City’s history through displays and the option of a guided or self-guided tour. The museum grounds are home to a number of casitas which visitors have an opportunity to explore, as well as other storied artifacts like one of the original wooden cigar shops. Click here to read the full story from Hawkeye News Staff reporter, Danielle Gamble.